The best part of living in Maryland (aside from crab being a major portion of your diet, of course) is the beautiful outdoors living that you get to experience. From stunning bay views to urban skylines and rural getaways, Maryland has every outdoor experience you could dream of. That’s exceptional news for couples planning a wedding or event in Maryland; no matter what outdoor setting you’re dreaming of, you can find in in your own backyard. At the Smokehouse Grill we love sporting our Maryland pride with every event we cater, which is why we want to take a moment to show off some of the scenic state parks that are simply IDEAL for your big event. Here we’ll highlight Sandy Point State Park, Patapsco Valley State Park, and Rosaryville State Park, and great crafts and tips for making your state park event an event no one will ever forget. Located on the Northwestern shore of the Chesapeake, Sandy Point State Park is a 786-acre park boasting everything from scenic bay views to a dense wooded forest, making it a perfect location for your family reunion, wedding, or birthday party. The park has twelve different reservation-only shelters (five of which have beautiful views over the Chesapeake Bay) for large events capable of hosting anywhere from 180-300 guests, all of which include grills and picnic tables for your event. Not only does choosing this venue save you tons compared to an indoor venue at a private location, but you have access to the best nature has to offer and a variety of outdoor activities to ensure your guests will have a blast. Patapsco Valley State Park encopasses more than 16,000 acres and spans 32 miles down the Patapsco River for the perfect outdoor venue for your event. Full of recreational areas, stunning scenery, and private pavilions for parties, Patapsco is a popular location for outdoor weddings and events near Baltimore. 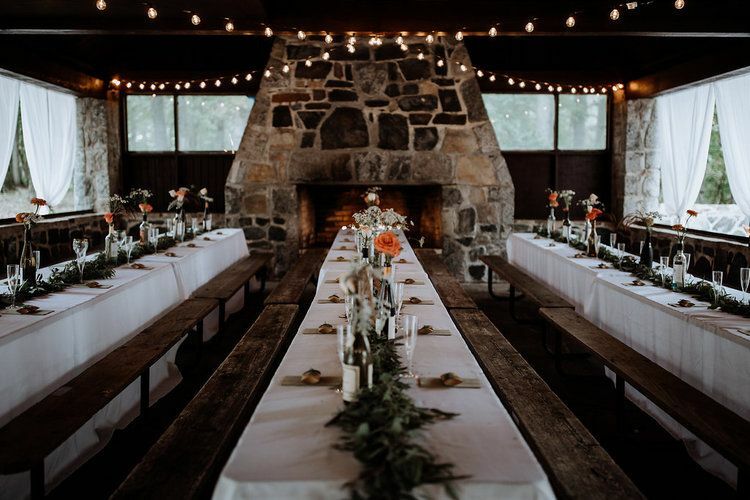 Patapsco Valley State Park is great for events of all sizes with pavilions that can cater to 10-200 guests with picnic tables, grills, and beautiful stone fireplaces. Not only are their shelters roomy enough for a stellar event, but their trails feature waterfalls and breathtaking wooded areas that are great for every photo op you can imagine. Located right off 301 South, Rosaryville State Park is a 982-acre park that brings so much to the table for your perfect state park event. 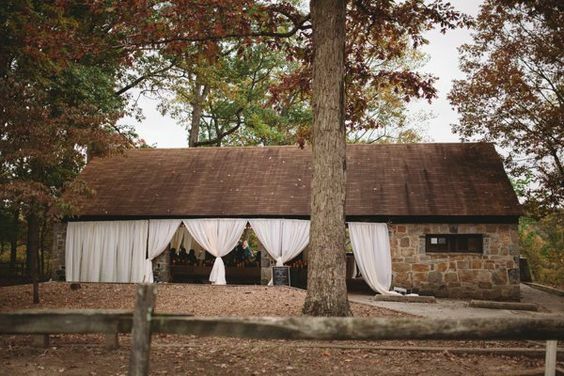 Not only does Rosaryville State Park have two 200-person pavilions that are available to rent for only $300 each, but also features a more formal setting at the historic Mt. Airy Mansion. For outdoor events on a budget, their pavilions are set amidst acres of wooded paradise and hiking trails for the perfectly-placed event that allows the outdoors to be the dramatic star of the show. And for just a fraction of the cost of your standard wedding or event venue, you’ll be thrilled with your outdoor event --- and so will your guests! Once you’ve chosen a Maryland State Park for your event, it’s not always easy to find the balance of elegant and natural for your decor. But rest assured --- it’s possible. Adding white table cloths to picnic tables (add a pop of color with table-runners, too!) and decorate with mason jars full of candles and natural greens for a sweet and romantic table setting that is beautiful and natural while not overstated. While outdoor weddings are simply lovely, sometimes you want to make your reception or party area feel a little more private than a pavilion allows for. Problem solved: hanging white curtains from your pavilion’s border adds a touch of elegance that can be retracted or closed to add a little more privacy. For an evening and nighttime event, these sheer white curtains will look marvelous with the warm effervescence of string lights and candles on the inside. 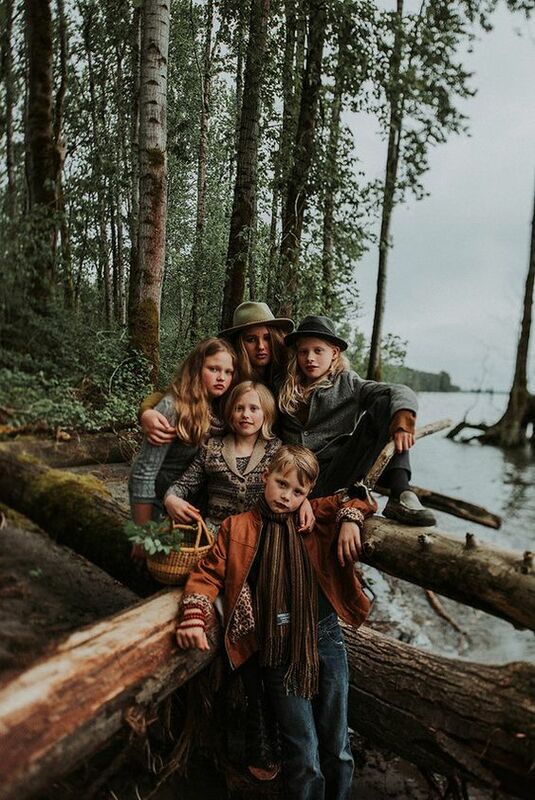 With a 360 degree view of the best nature has to offer, your state park event is full of incredible locations for wedding photos and family photos (and plenty of space to fit the whole family at the family reunion). The outdoors provide the perfect opportunity for large-framed shots because of the vast expanse of tree top canopies and rolling bay views for photos you’ll cherish for years and years. 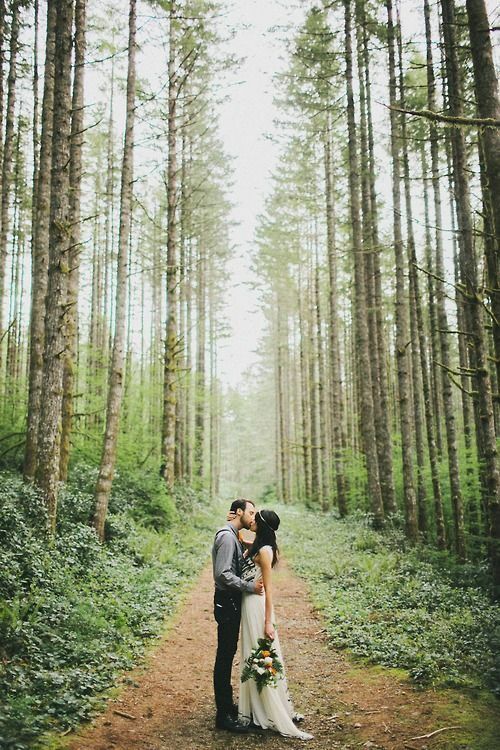 While getting married in the heart of nature in maryland, it can be difficult to formalize a setting for your ceremony. 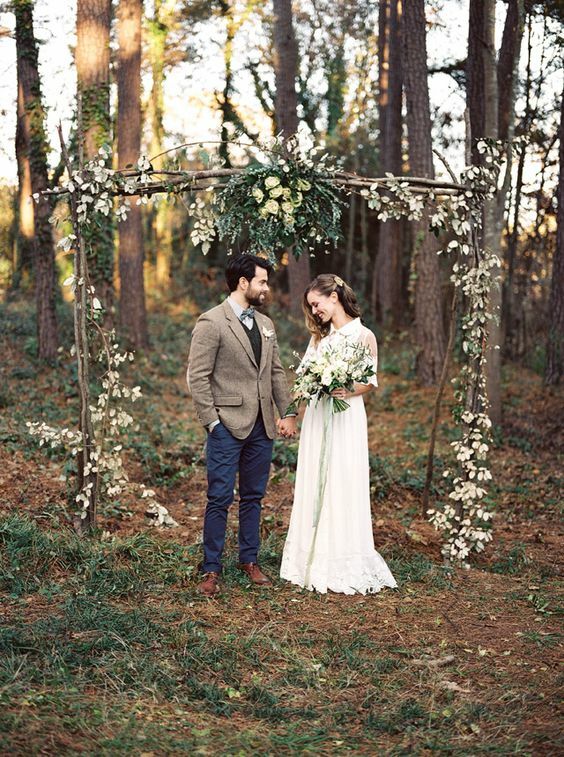 By framing out a simple yet natural wedding arch out of branches, wood, and decorated with foliage and flowers native to your venue, you’ll have a stunningly romantic setting in the midst of the woods that feels formal without being overdone. Plus, it’s extremely cost effective and a fun DIY your and your betrothed can construct together! Outdoor weddings supply a level of charm you simply can’t find from indoor venues. 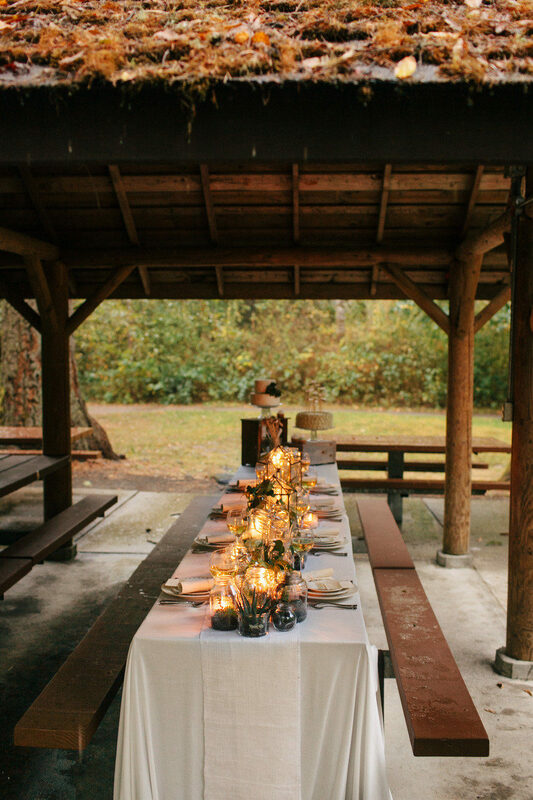 With affordable rentals, a variety of activities, and affordable and elegant DIY decorations, you couldn’t make a better decision for your event (or your wallet) than to host at a Maryland State Park. For delicious and affordable catering that follows you into the woods (or wherever your event takes you!)  get in contact with Smokehouse Grill --- maryland’s premiere wedding caterers that will deliver you the perfect menu for your event every time.